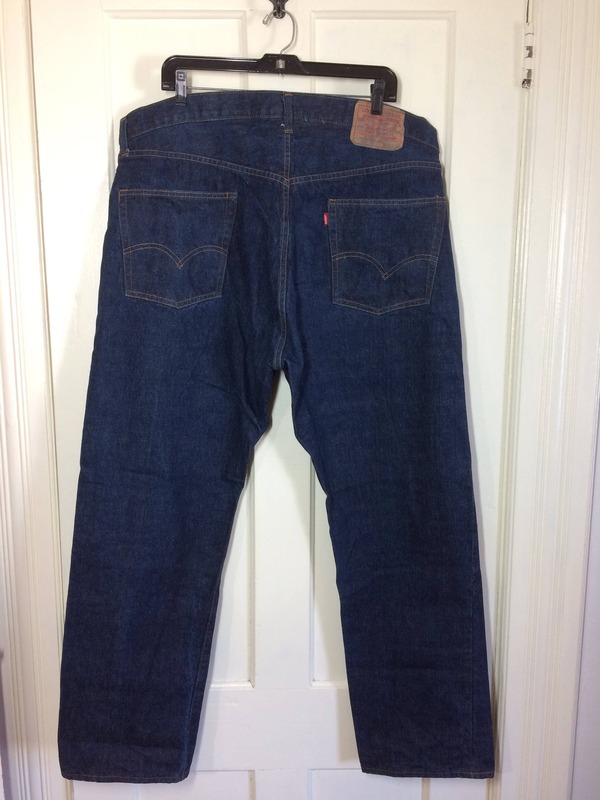 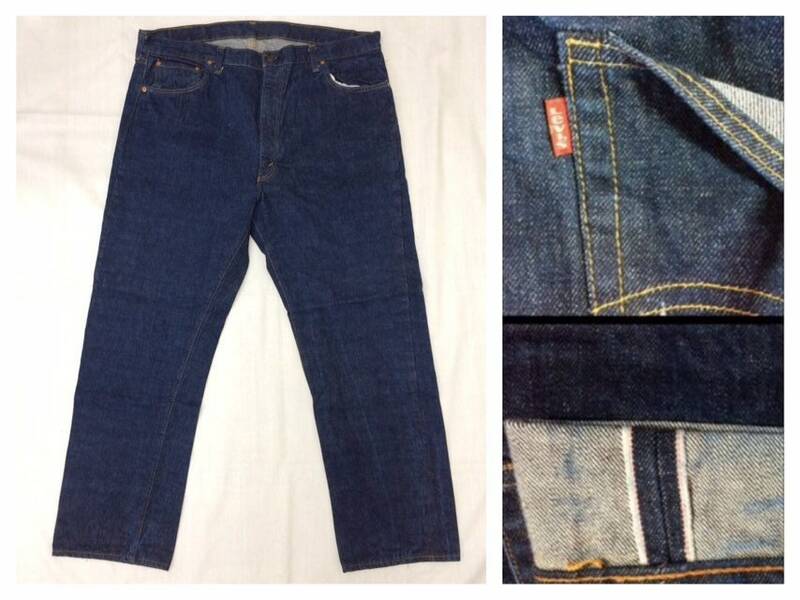 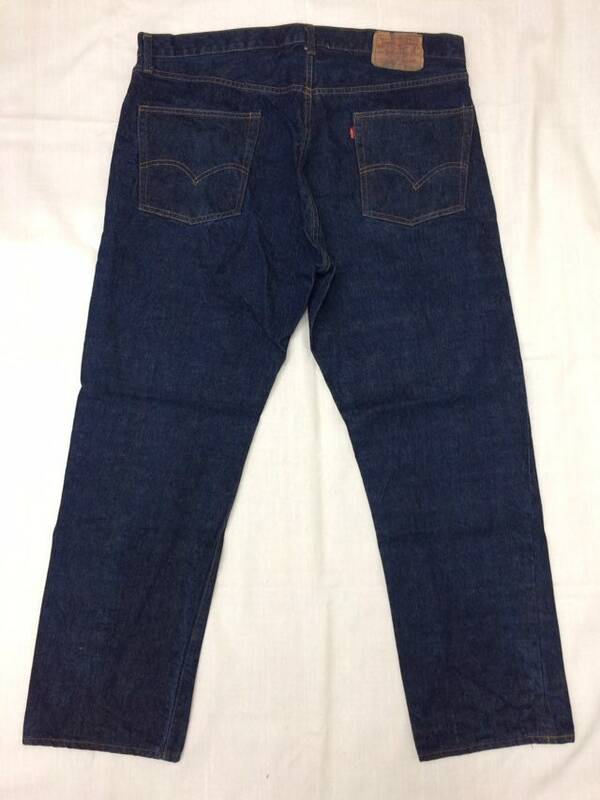 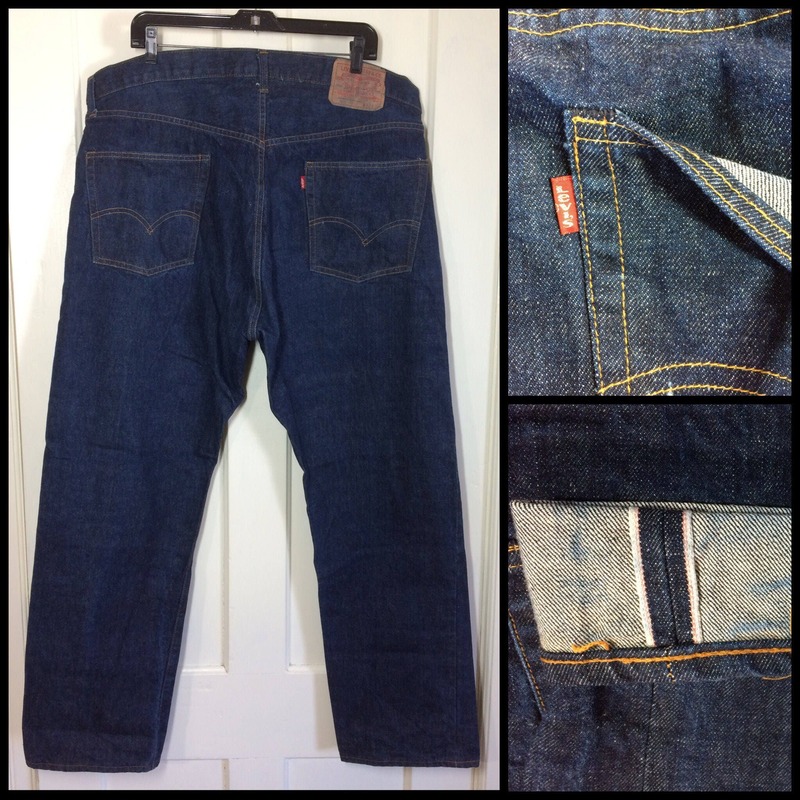 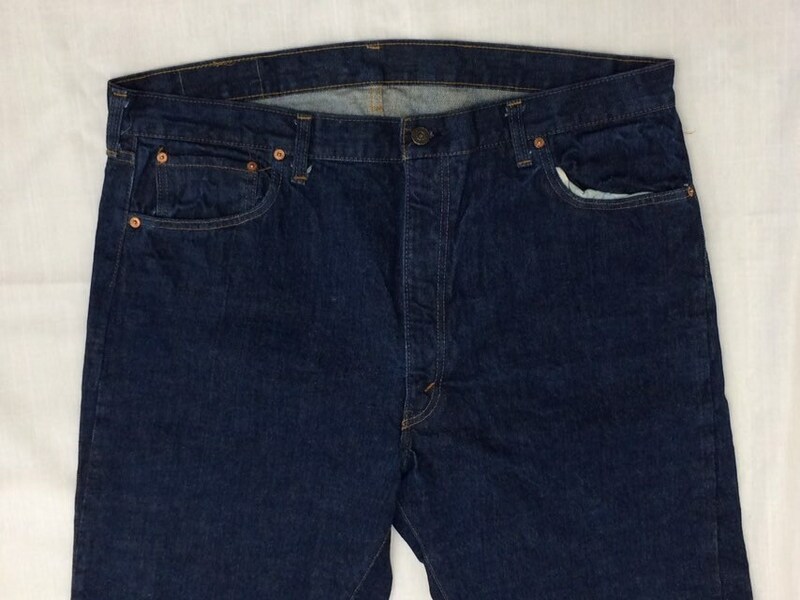 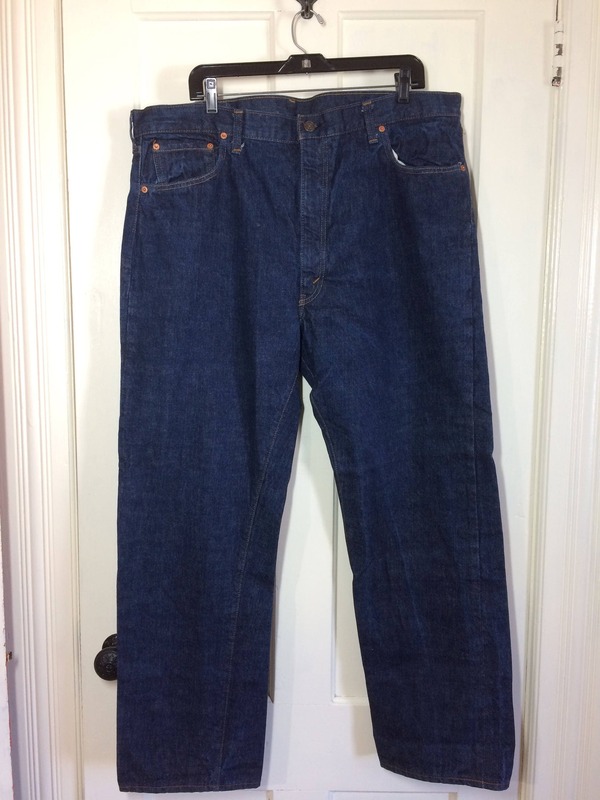 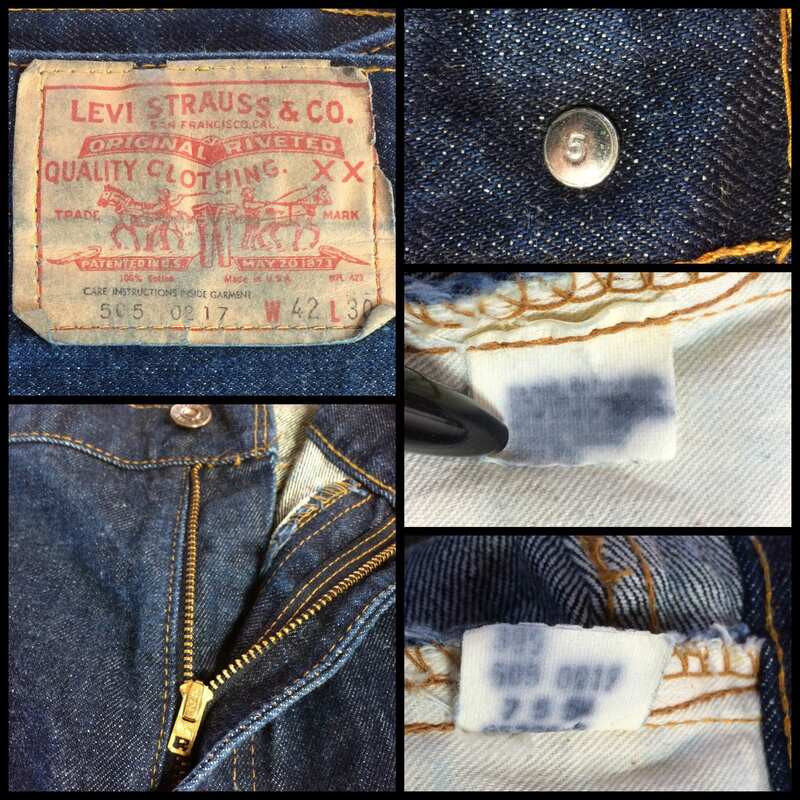 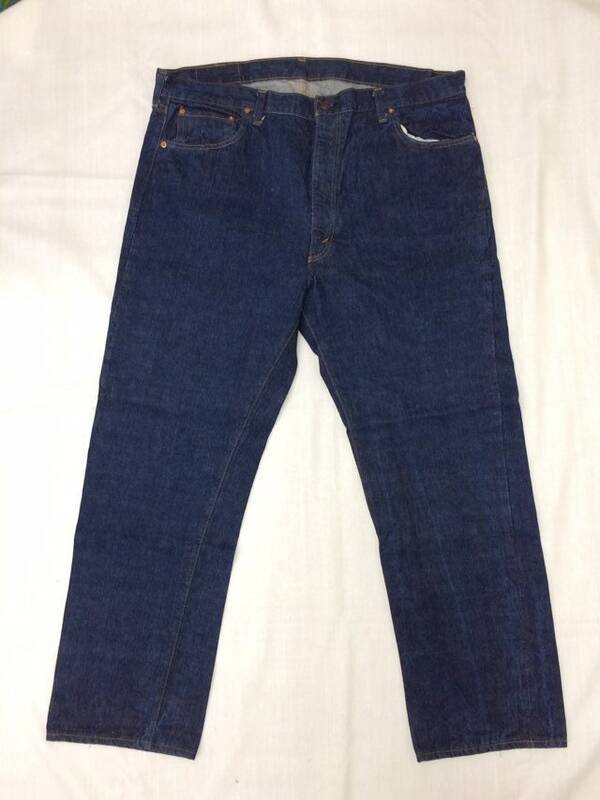 Here's a pair of indigo blue, single stitch Levi's 505 jeans from the 1970's with redline selvedge and number 5 button. 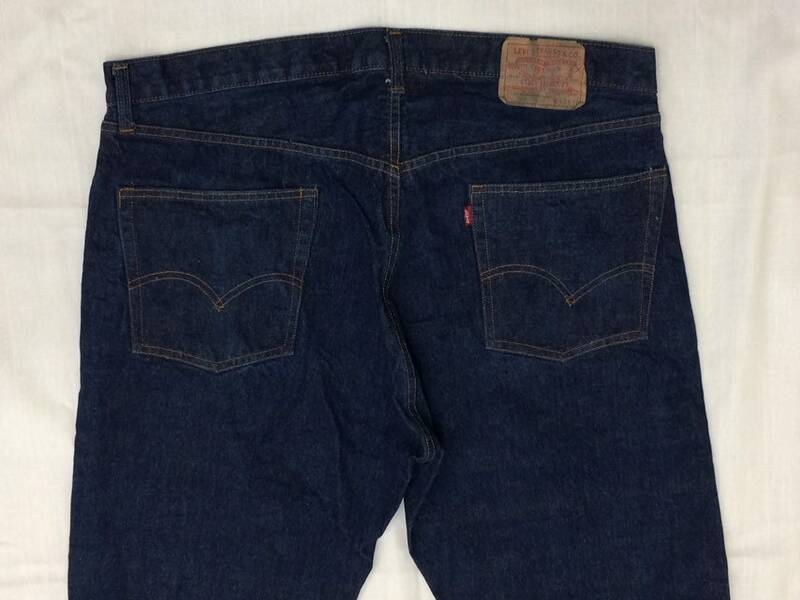 They're 100% cotton denim, made in the USA. 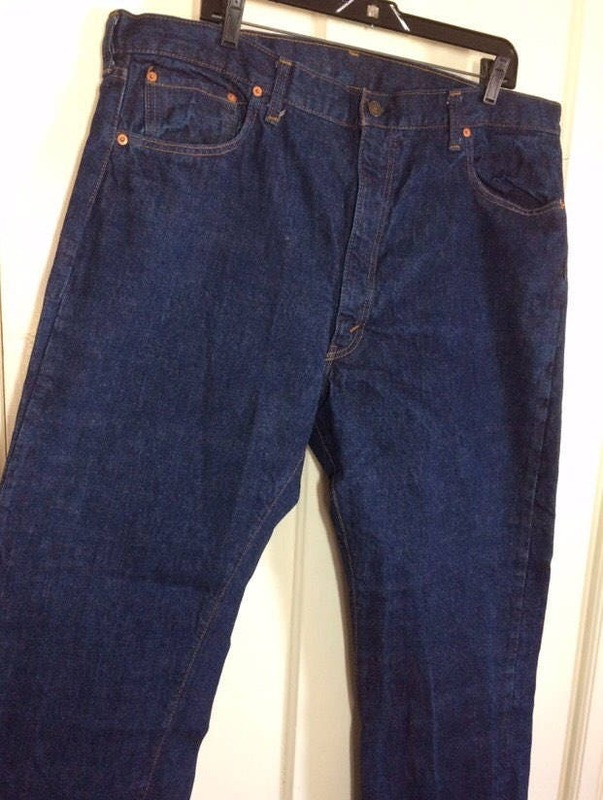 They're in excellent, barely used condition (looks like one wash), no damage.